We’re just over a week into the Trump-Putin regime, and it’s already getting hard to keep track of the disasters. Remember the president’s temper tantrum over his embarrassingly small inauguration crowd? It already seems like ancient history. But I want to hold on, just for a minute, to the story that dominated the news on Thursday, before it was, er, trumped by the uproar over the refugee ban. As you may recall — or maybe you don’t, with the crazy coming so thick and fast — the White House first seemed to say that it would impose a 20 percent tariff on Mexico, but may have been talking about a tax plan, proposed by Republicans in the House, that would do no such thing; then said that it was just an idea; then dropped the subject, at least for now. For sheer viciousness, loose talk about tariffs isn’t going to match slamming the door on refugees, on Holocaust Remembrance Day, no less. But the tariff tale nonetheless epitomizes the pattern we’re already seeing in this shambolic administration — a pattern of dysfunction, ignorance, incompetence, and betrayal of trust. As economists quickly pointed out, however, tariffs aren’t paid by the exporter. With some minor qualifications, basically they’re paid for by the buyers — that is, a tariff on Mexican goods would be a tax on U.S. consumers. America, not Mexico, would therefore end up paying for the wall. If America were to casually break that rule, the consequences would be severe. The risk wouldn’t so much be one of retaliation — although that, too — as of emulation: If we treat the rules with contempt, so will everyone else. The whole trading system would start to unravel, with hugely disruptive effects everywhere, very much including U.S. manufacturing. "...the pattern we’re already seeing in this shambolic administration — a pattern of dysfunction, ignorance, incompetence, and betrayal of trust." "พอดูออกแล้วว่ารัฐบาลที่น่าทุเรศนี้ทำงานไม่เป็น, โง่เขลา, ไร้ประสิทธิภาพ, และ ทรยศต่อความเชื่อถือที่ประชาชนมอบให้"
"If we treat the rules with contempt, so will everyone else. The whole trading system would start to unravel, with hugely disruptive effects everywhere, very much including U.S. manufacturing." But here’s the thing: that overhaul wouldn’t at all have the effects he was suggesting. It wouldn’t target countries with which we run deficits, let alone Mexico; it would apply to all trade. And it wouldn’t really be a tax on imports. And the proposed change in corporate taxes, while differing from value-added taxation in some ways, would similarly be neutral in its effects on trade. What this means, in particular, is that it would do nothing whatsoever to make Mexico pay for the wall. Some of this is a bit technical — see my blog for more details. But isn’t the U.S. government supposed to get stuff right before floating what sounds like a declaration of trade war? So let’s sum it up: The White House press secretary created a diplomatic crisis while trying to protect the president from ridicule over his foolish boasting. In the process he demonstrated that nobody in authority understands basic economics. Then he tried to walk the whole thing back. 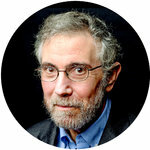 Read my blog, The Conscience of a Liberal, and follow me on Twitter, @PaulKrugman. Follow The New York Times Opinion section on Facebook and Twitter (@NYTopinion), and sign up for the Opinion Today newsletter. A version of this op-ed appears in print on January 30, 2017, on Page A21 of the New York edition with the headline: Building a Wall of Ignorance.